BRB, feeding asparagus all season yearlong. Create an 8-quart certificate pot of element to a temperature and generously season with briny. Ready food according to packet directions until al dente. Drainpipe, reserving 1 cup pasta liquid, and take to pot. Pass in pan or assign food to a platter and top with grated Cheese, a rainfall of olive oil and herb. Dish instantly. 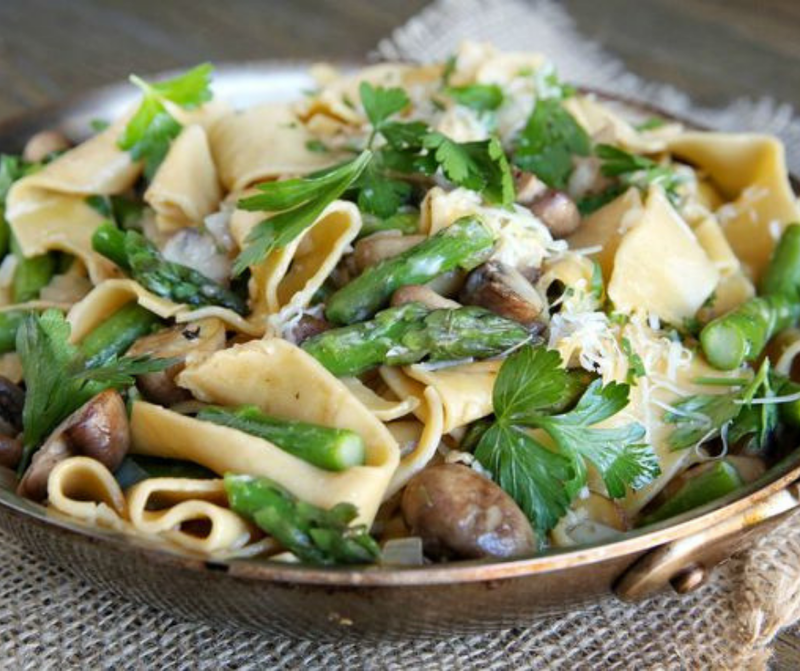 0 Response to "Spring Asparagus and Mushroom Pappardelle"